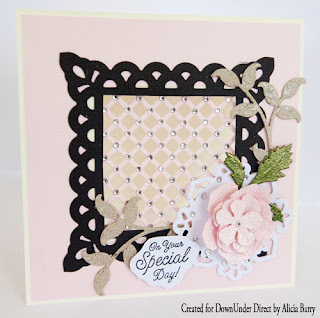 Today we have a clever little card using the new Spellbinder die Hexagons. This cute bird house can be filled with sweets and lollies and give to someone special at any time of the year. "It feels like there's never enough ideas for masculine cards, so here's another one I came up with. 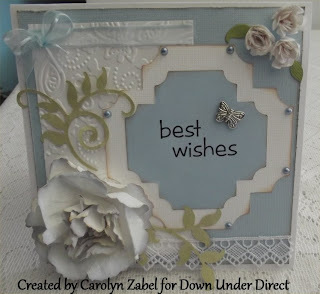 A little fussy cutting and layering with dimensional foam, and this card is ready for the special man in your life." Today we have a pretty layout from Sheree. Today we have a project featuring one of the newest Spellbinder dies Blossom Five. 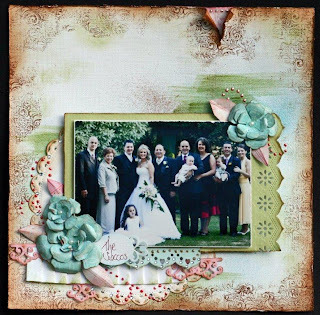 "I love using a mix of Motif sets to create lacy rosettes and blossoms." Welcome to Tutorial Tuesday. 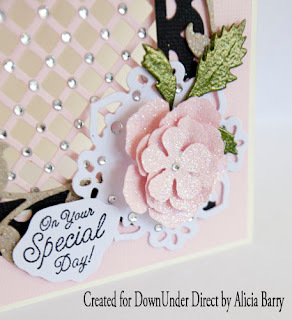 Today we show you how to create a poppy using the Rose Creations die. Spritz with water and scrunch. Dry off petals and shape to form a poppy. Dab petals with white gesso. Spritz with Marmalade glimmer mist. Apply glitter glue and orange micro beads to the centres. Today's project features one of the new expandable dies - Basic Lattice. 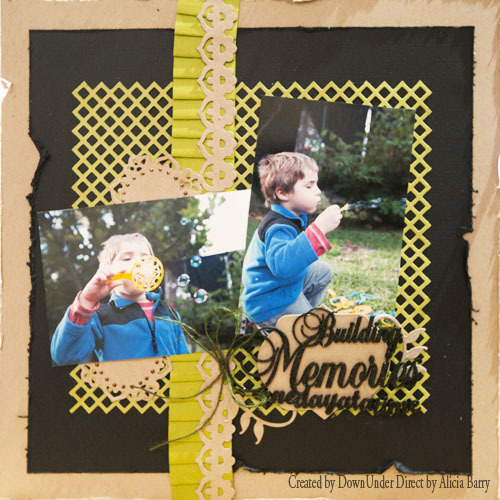 Today we have a boys layout using the Bazzill patterned paper range Dinomite. 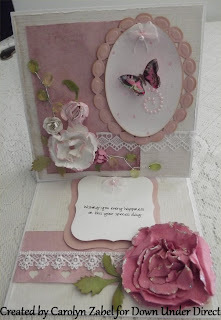 Today we have a card with lots of intersting dimension.The background inside the window is just a big rosette, and the butterfly sits in the centre. 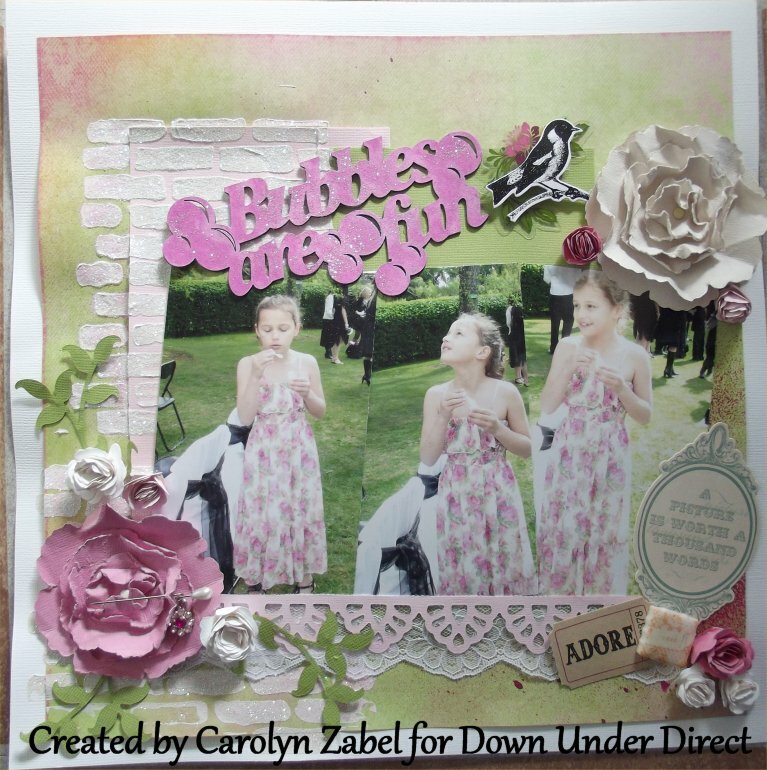 Today's layout features the new Spellbinder Grand Circles One. Today's layout features the new Spellbinder dies Blossom Five and Foliage Two. 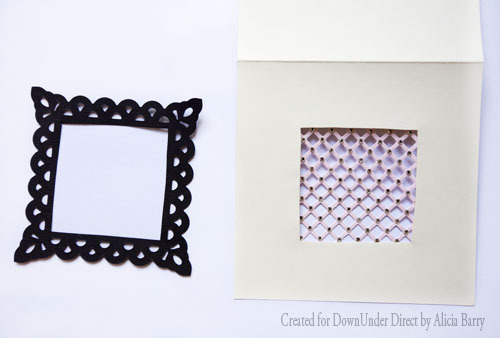 Die cut a doily shape from the Asian Motifs set in black cardstock. Cut a square from the centre and discard to leave a frame. Use the frame as a guide to cut a window in the centre of the card. Die cut a lattice piece. Following the instructions on the package, apply coordinating BLING-a-bilities. 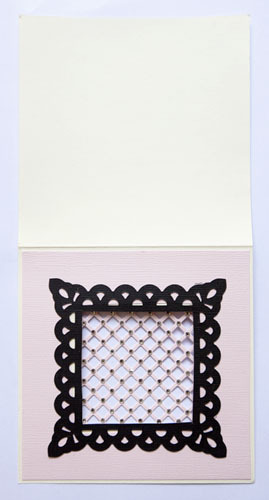 Cut slightly larger than the window in the card, and adhere to the inside of the window. 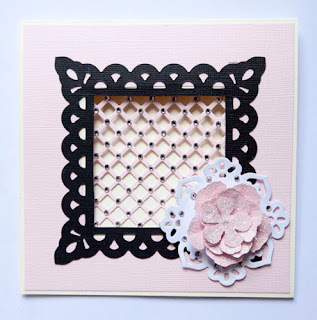 Cut a piece of pink cardstock 13cm square. 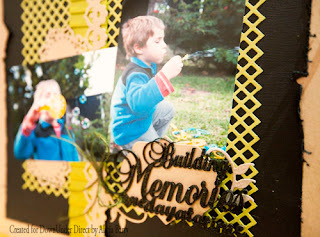 Again using the frame as a guide, remove the window piece. 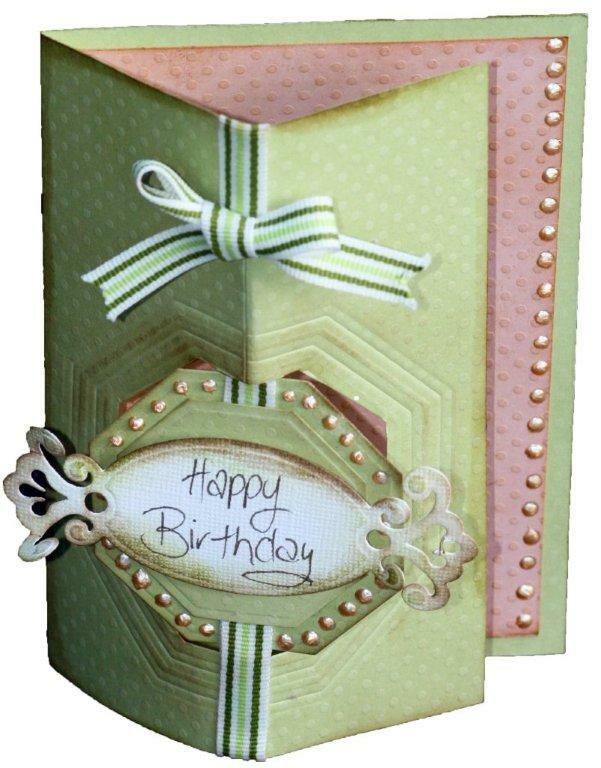 Adhere to the front of the card, with the frame over the top. Die cut a small doily shape. 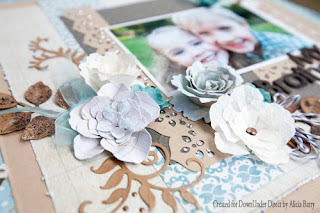 Apply matching blin-a-bilities and adhere to the bottom right of the frame, along with a 4 layered rose die cut flower. 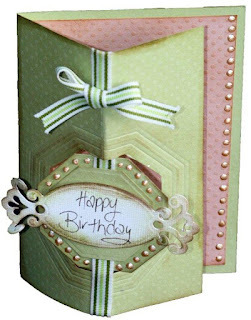 Die cut flourishes from the Foliage Two set. Emboss with clear embossing powder and adhere to either side of the flower, along with a stamped greeting. 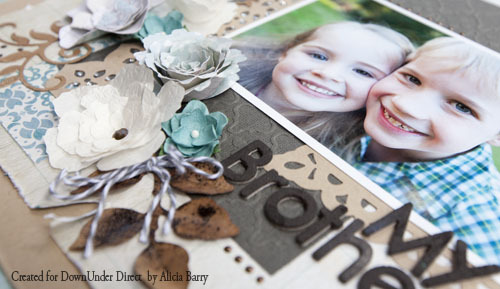 Today we have a very practical and useful project for any craft room. 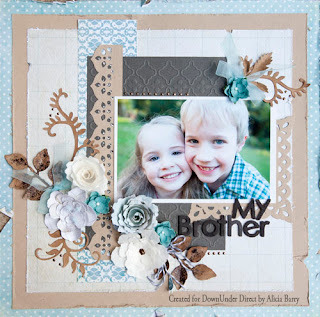 "You can mix and match all of the motif sets to create wonderful rosettes and medallions on your cards." 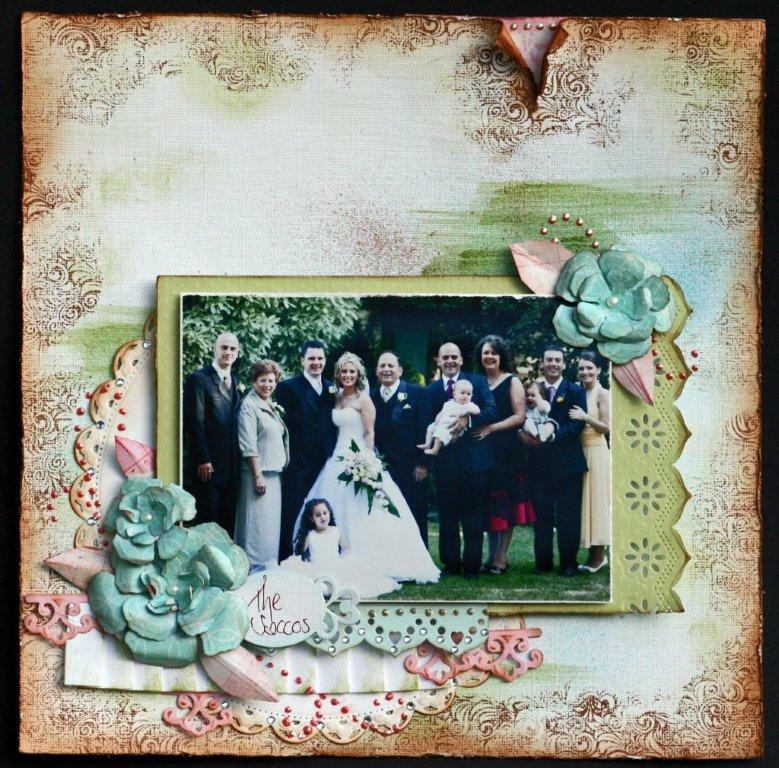 "The new Foliage Two dies are a perfect accompaniment for the Blossoms Five dies." "This photo was taken in my father-in-law's backyard, with his vege patch as a backdrop. Fortunately for me, Jake was wearing a black and green cap, so colour matching was a breeze!"